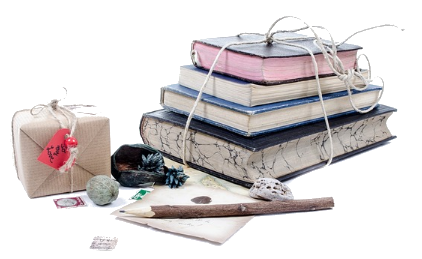 Romance books have been around for a long, long time, and there are hundreds, if not thousands, of authors and novels out there. With so many to choose from, it’s easy to overlook some of the books and authors who have been pulling our heartstrings (and filling our heads with lust) for years. These are 5 of the best, from authors who have many more romance novels for you to dive into. 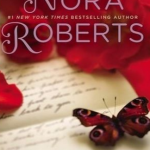 “Born in Fire” is the first in the “Born In” Trilogy by Nora Roberts. Set in Ireland, it concerns the fiercely independent oldest of three sisters, Maggie Concannon, a glass-blower who has a talent for making delicate, gorgeous items. Rogan Sweeney, a gallery owner from Dublin who wants to further her career, meets with Maggie and their attraction is undeniable. She’s built walls around her heart and has no intention of falling in love, but she’s discovering that the walls have a different idea. The Irish setting and the feistiness of the three sisters makes this trilogy a long-time winner. 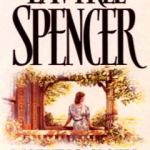 LaVyrle Spencer writes novels that are real life, and the lovely novel “Morning Glory”, set in 1941 Whitney, Georgia is one of her best. Elly is called “Crazy Widow Dinsmore” in town because she suffered a horribly harsh childhood and has been an outsider all her life. Now, alone with two children and a third on the way, she takes a huge step and puts out a classified ad looking for a husband. Will Parker drifts into town and comes across her ad. He’s had a very hard life, too, and just wants somewhere safe and to be loved. From the moment he shows up at her farm, it’s like a balm is being applied to their emotional scars and together they are being healed by love. You’ll find yourself rooting for their romance with a fierceness you didn’t expect. Prepare to have your heartstrings tugged…a lot. “The Duke and I” is the beginning of a large series of books about The Bridgerton family of London, 1813. The family is looking forward to the engagement of their daughter Daphne to the future duke of Hastings, Simon Bassett, but the engagement is a sham meant to keep Simon from the marriage-hungry mothers of London. Daphne has others plans, as she has fallen for the duke, and she sets out to make the sham a reality. Added to the mix is the rest of the large Bridgerton family, and the ever-popular “Lady Whistledown’s Society Paper”, a gossip column so full of details that one wonders just exactly who hold the pen. This book will have you laughing out loud at the conversational sparks and banter. One of Jude Deveraux’s most popular books is “A Knight in Shining Armor”, the beginning of the “Velvet” series. Dougless Montgomery finds herself brokenhearted and alone in an ancient English church, when a 16th- century knight appears. Nicholas Stafford, Earl of Thornwyck, is just the man Dougless never knew she was looking for, and just as he is beginning to adjust to the 20th century, he suddenly finds himself back in 1560. Dougless is transported there, too, and finds herself thrust into the middle of Elizabethan life. The book ends with the required “happily ever after”, but with a completely unexpected romantic twist. One of its best features is the historical details that have you feeling as if you are there. The author’s heroines are scrappy fighters who often don’t need men, but are won over by them. 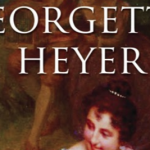 The undeniably most popular Regency romance author of all time, Georgette Heyer, wrote what is arguably one of the best romance novels ever, “Frederica”. It’s The Season in London, and Frederica Merriville and her 3 siblings are in London for young Charis to find love (and, of course, a suitable marriage). Frederica is considered ‘on the shelf’ at age 24, and has no romantic expectations of her own. She takes it upon herself to ask their wealthy and very distant cousin, the Marquis of Alverstoke, to help find Charis an honorable mate. Alverstoke finds himself enjoying the the younger brothers and decides to help…inevitably leading to a romance between Frederica and himself. Thoroughly delightful and will have you on the lookout for every book of Heyer’s you can find.